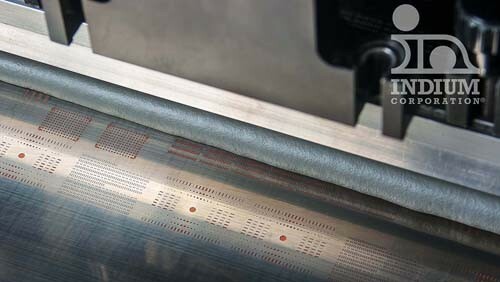 Indium Corporation's new Indium10.8HF is a halogen-free, no-clean solder paste that is formulated to provide industry-leading non-wet open performance on large, high IO electronic packages, such as microprocessors. In addition to its resistance to non-wet opens, Indium10.8HF also delivers a superior oxidation barrier, allowing for reduced head-in-pillow (HiP) defects and improved graping performance. It also exhibits exceptional stencil printing, especially for small components (01005) and fast printing speeds (>125 mm/sec). Indium10.8HF solder paste is part of Indium Corporation's family of high-performance, lead-free, low-voiding, no-clean solder pastes that help manufacturers Avoid the Void™. For more information about Indium10.8HF, email askus@indium.com or visit www.indium.com/indium10.8HF.